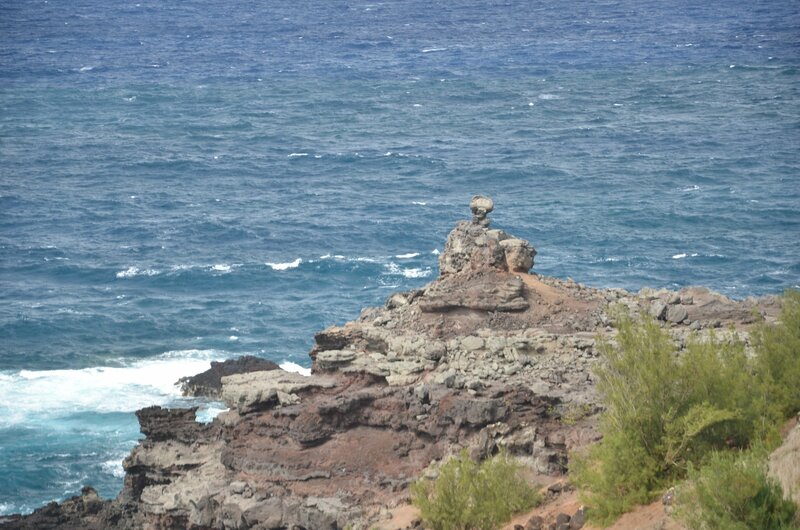 As I’ve previously stated, you should plan on doing five things when you visit Maui. Read about that idea as I describe the Haleakala Adventure. 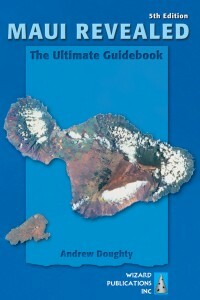 This is one of a series of guidebooks that I highly recommend to anyone planning a trip to Hawaii. Andrew Doughty has a book about each of the islands, and he’s an entertaining read as well as an informative one. You need these books. About $15 on Amazon. Another grand adventure was the search for the World’s Best Banana Bread. It’s promoted as such in the Maui Revealed guidebook, and the baker has created a small local business (which her niece has put on the internet!) based on that recommendation. Read about it on Yelp. World’s Best Banana Bread? Best I’ve ever had (and Velda even agrees!). You can debate about why it’s so good on the drive back. Personally, I think it’s the bananas; I had not had “apple bananas” before this trip to Maui. Is that what Julia uses? No clue. Good news: you can debate this all the way home. And then you can talk about the wonderful scenery you see on the journey! 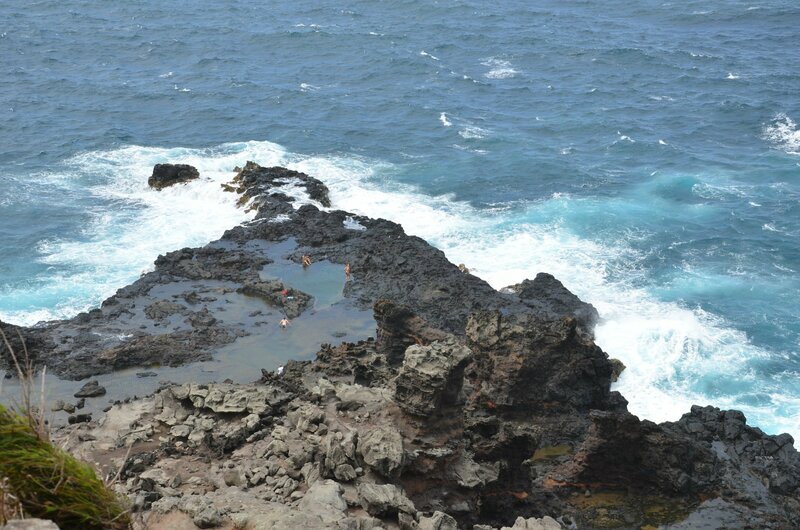 Olivine Pools is a great place to bath when the tide is right. Hope you brought your suit on the drive! We were staying at the Westin resort on the Ka’anapali Beach, near Lahaina on the west shore. 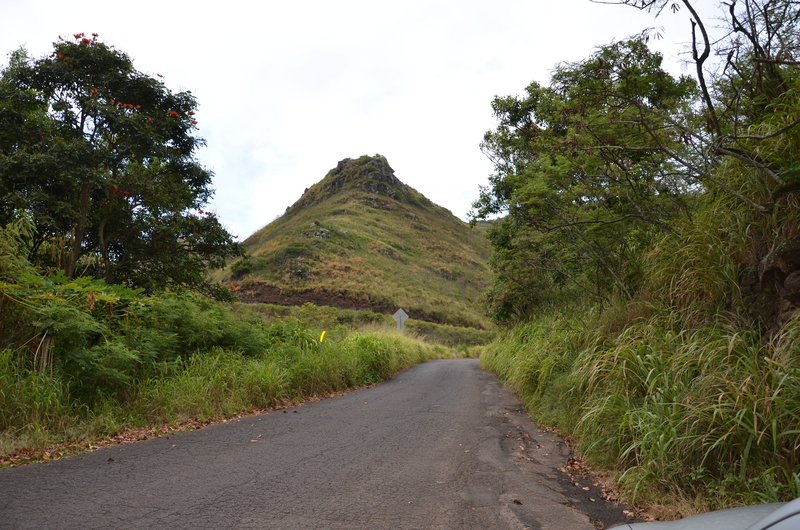 The drive to Kahakuloa is not as long, nor as difficult, as the Road to Hana, but it is a somewhat challenging drive, nonetheless. We chose to have a leisurely lunch in Kahana, and then proceed on the drive to Julia’s. On the way was the location that’s christened the “Olivine Pools” by Andrew Doughty; that is pictured at left. Double click the picture (and any of the pictures in my blog) to expand it to full size. Back on the road, you’ll eventually see signs directing you to Julia’s that freely promote her status as the maker of the World’s Best Banana Bread. The signs even show the Doughty book cover and cites the reference as page 62! 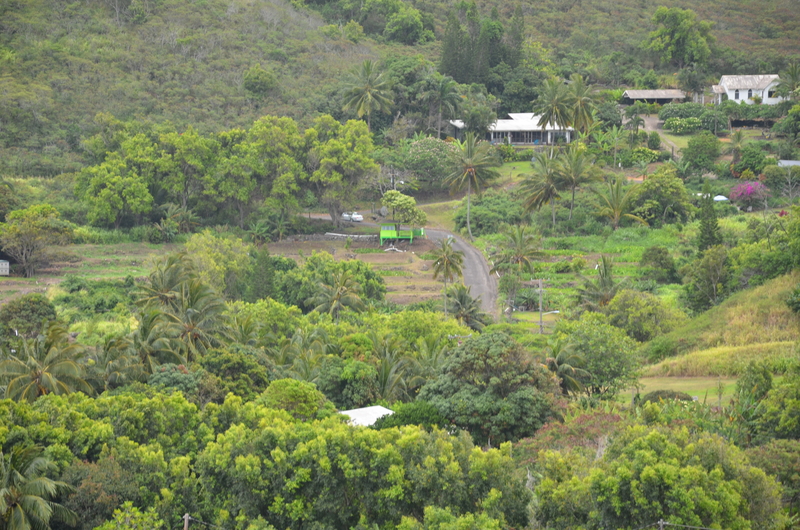 When you arrive in Kahakuloa, you’ll see a lovely, rustic valley with a bright green shack on the opposite hill. That’s Julia’s. Drive through town (avoiding or supporting the other vendors as you choose). The drive itself is largely a two-lane road. However, the last few miles do have a number of one lane bridges and narrow one lane passages around the bluffs that face the sea. Well worth an afternoon’s leisurely drive! Sit back, relax, and see the beauty around you. 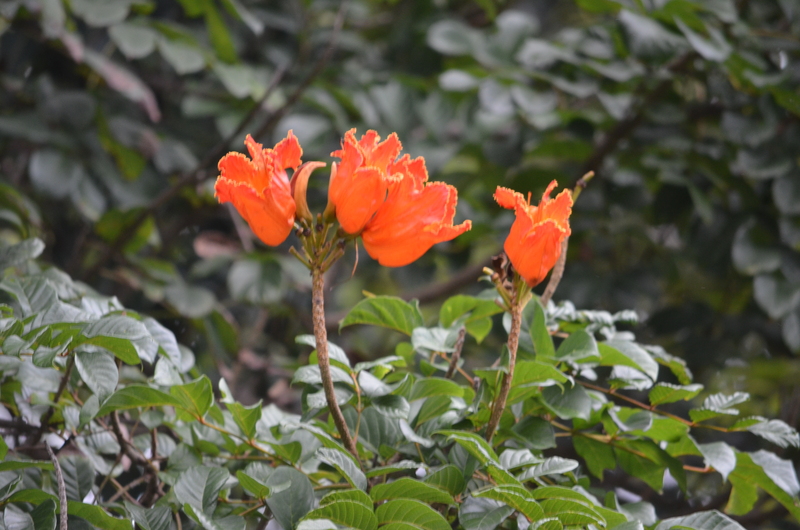 These lovely flowers were growing on a tree not far from Julia’s shack. Don’t know what kind of tree this is … please tell me if you do! Mushroom Rock is another of the sights you’ll see if you — or better yet, your passengers! — keep your eyes peeled. The road is not too narrow, and shouldn’t cause you any serious concerns. Take it slow and enjoy your day … and you’ll have wonderful banana bread to celebrate!